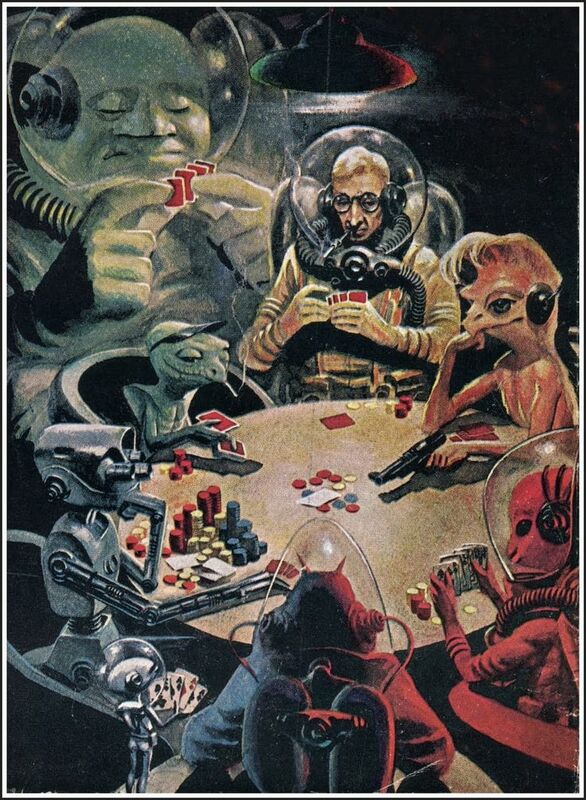 The selected illustrations are from a story Todd wrote called “The Warbots: The History of Armored War from 1975 to 17,500 A.D” published in Galaxy Science Fiction (October, 1968). The first “mecha“—a robot or machine of humanoid appearance controlled by a smaller humanoid from a cockpit—is generally considered to be Mazinger Z, from the manga of the same name written and illustrated by Go Nagai. Perhaps that designation needs to be reevaluated. Todd’s designs are reminiscent of a number of mecha from the 1970s and 1980s, including the Zentraedi Battlepod in Robotech. Todd updated his illustrations (below) for 1986’s Body Armor: 2000, edited by Joe Haldeman. Shusei Nagaoka (1936-2015) was responsible for much of the shimmering and gorgeous sci-fi art of the 1970s and 1980s, a sampling of which can be seen at Pink Tentacle. The fourth image appeared on the interior of the LP, and shows the command center located under the ELO logo on the cover. Much like my obsession with dead astronaut art, I’m fascinated by renderings of spaceships, especially spaceship interiors, especially command centers. 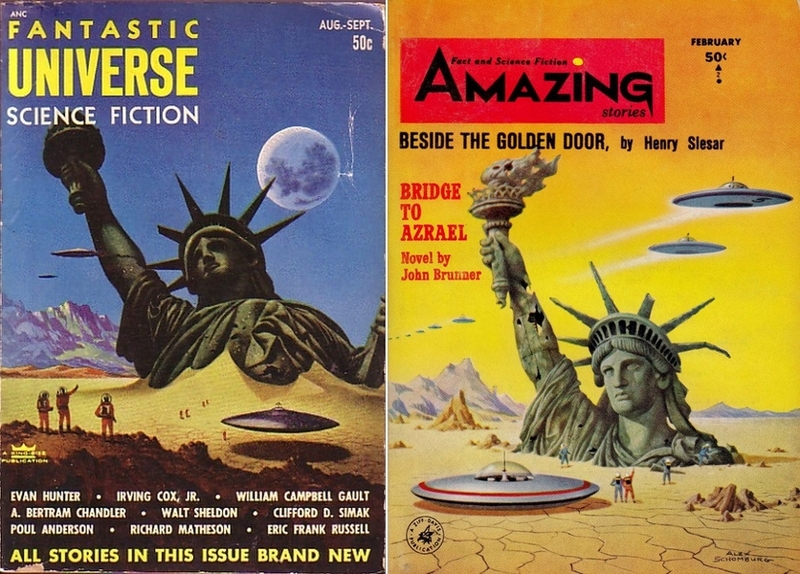 These pieces tell us quite a bit about how space travel and future life were perceived at the time. Nagaoka here plays on the similarities between records and flying saucers: all is color and warmth and shiny surfaces, a meandering jukebox with warp drive in a laser light show universe. If you see either volume of The Works of Shusei Nagaoka for a reasonable price, grab it up. I think the little guy is going to win this hand. 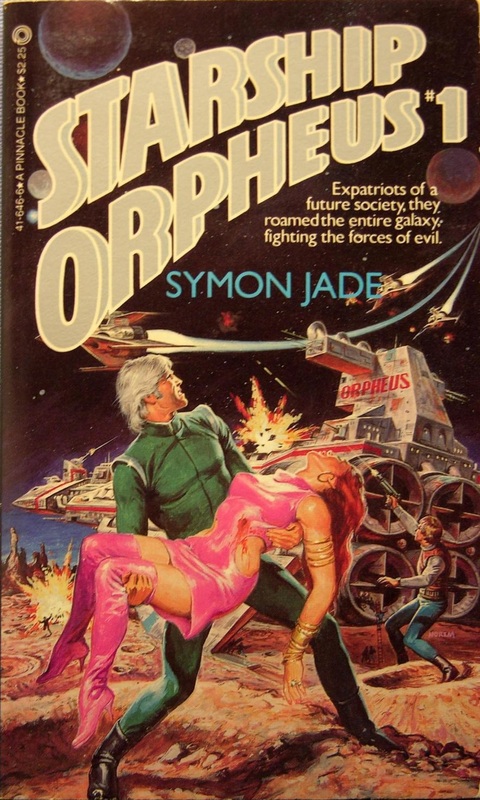 Little known Norem covers for the first two books in Symon Jade’s (a.k.a Michael Eckstrom) Starship Orpheus series. (The third and last book in the series was illustrated by Jerry Bingham.) You have to admire the pink leather dress and boots on the damsel in distress. Clearly Norem found it amusing, because he signed his name in pink. 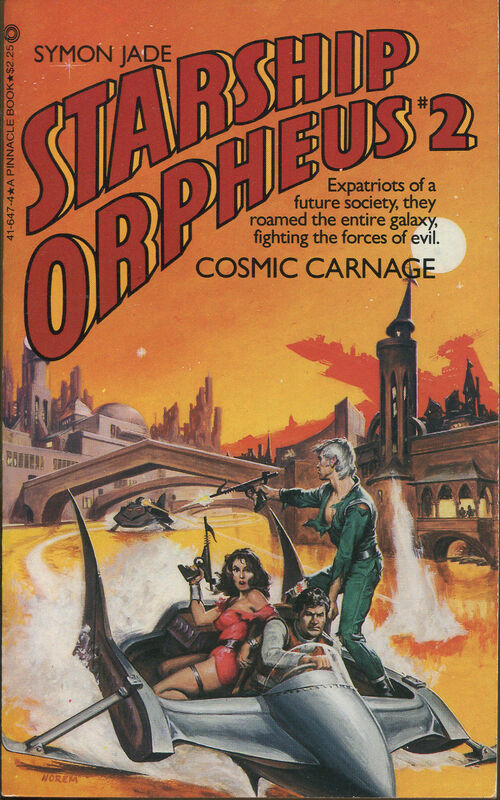 Norem didn’t illustrate many adult-oriented sci-fi/fantasy paperbacks. I’m sure he was making better money on booming kid’s properties at Marvel and Mattel. 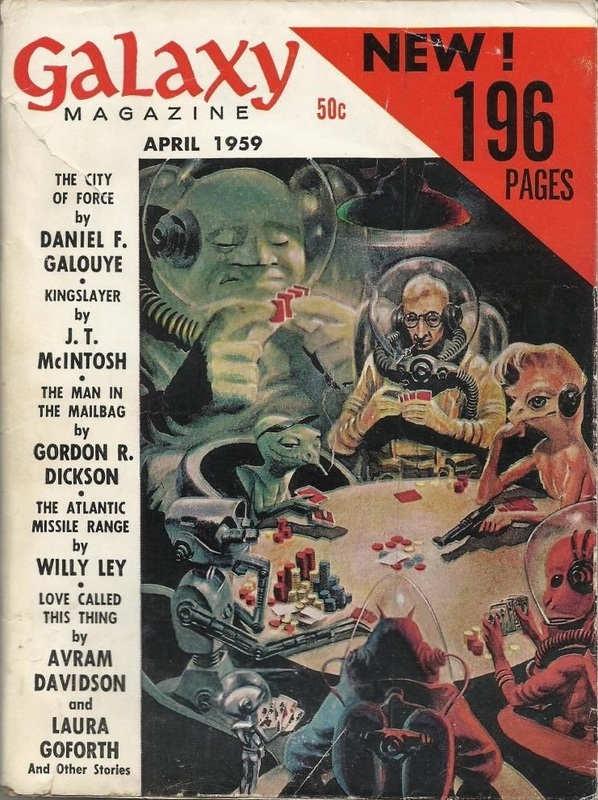 He did paint all 18 covers for Avon’s Wizards, Warriors & You role-playing books, and all six of Ballantine’s G.I. Joe: A Real American Hero young adult novels. More Slow Death here. 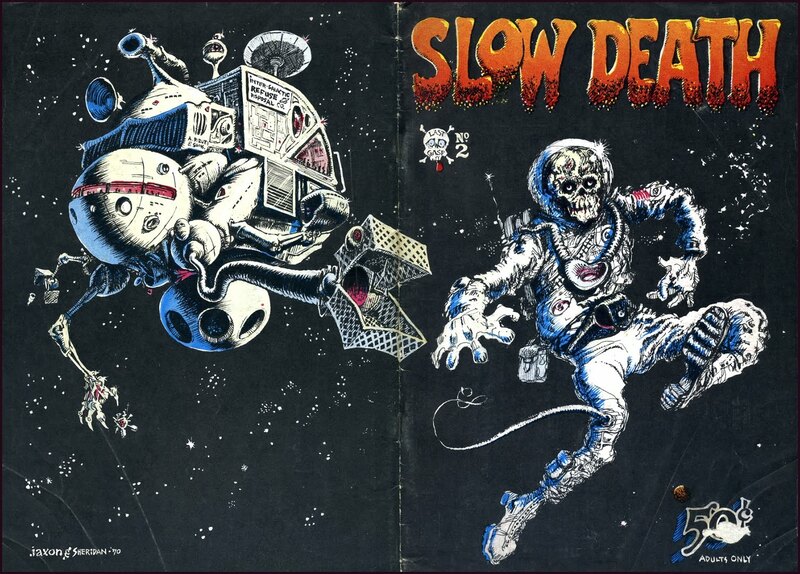 Filed under Skeleton Astronauts.